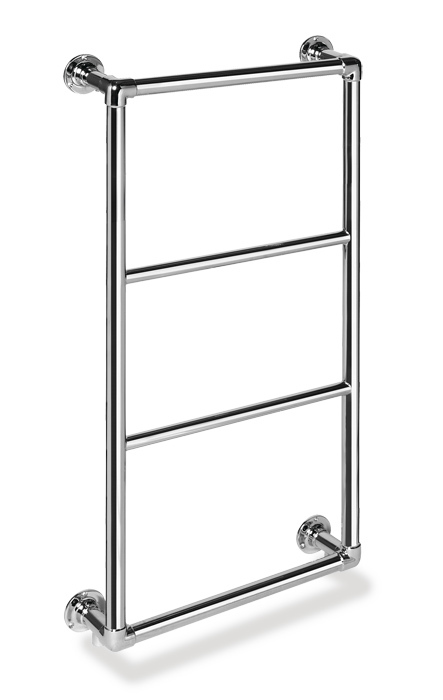 Centre to Centre465mm / 18.31"
Valve Pipe Centres465mm / 18.31"
Sapphire 3 Contemporary Towel Rail: 540mm x 1100mm available in Chrome, Gold, Nickel, and Coloured powder coat to suit with 3 fuel types; standard Water, Electric, or a Duel Fuel combination. Contemporary model. 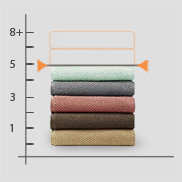 Treat yourself to the luxury of fresh, dry towels. The Sapphire is an attractive, yet functional wall mounted design sure to be the focal point of the bathroom. All of our products are designed and hand made in the UK to the highest standard. Unlike cheaper varieties we use dezincification brass and braise the joints with high grade silver; the advantage of which is it’s resistance to corrosion, conductive nature, with a superior and flexible range of finishing. Our standard is of the utmost importance, ensuring a quality product that will serve you for many years. Not quite what you’re looking for? View the rest of our Sapphire range. We also offer Bespoke services allowing us to make a product catered specifically to your requirements. Need this in a different colour, size, a specific output or any other adjustments? Customers are welcome to call our friendly helpful staff who will answer any questions you may have (01889 221 000).